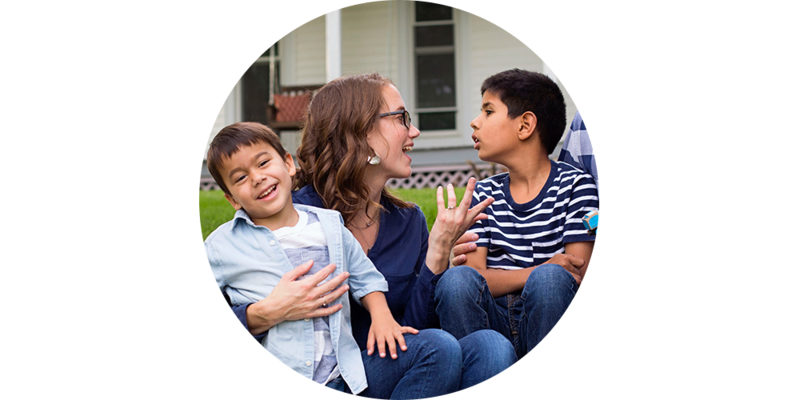 Much is learned when life is shared, so this blog is my corner of the internet dedicated to helping others understand special needs, adoption, and living intentionally through the lens of my family. Sometimes things happen here that just HAVE to be shared. This story from yesterday, is just that. Approaching lunchtime, Louis, Edward, and I returned home from our doctor-library-preschool run. As I parked the van, we all noticed a box outside our back door. 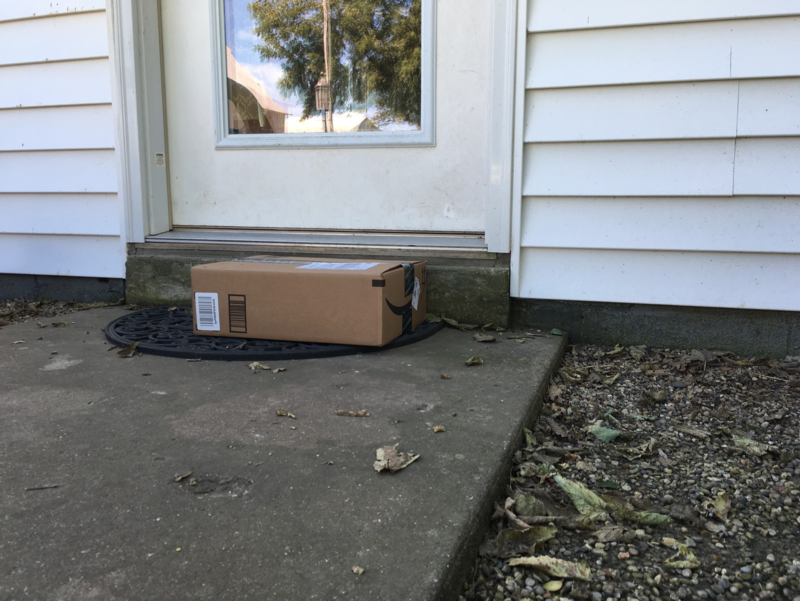 Amazon boxes on our sidewalk are anything but unusual (we heart Amazon Prime), but regardless, the children still act as though it is Christmas morning with every single package. Edward asked if there were any bubbles inside — he loves to pop the packing air pockets. I told him I would let him know if there were any. Louis and I walked over to the box; I gathered it and carried it inside. While I was searching for scissors to cut the packing tape, Louis began asking a question that struck me as odd - "Is it my big train inside?" His prediction of the box's contents seemed awfully specific, but I brushed it off. I told Louis I was pretty sure the box contained fishing supplies for his taty. I cut the tape on the top of the box, and what do you think was inside? Why, "my big train," of course! I stared at the box completely confused. I hadn't ordered this. It's a toy for a young baby, but I didn't know of anyone Chance might have ordered it for either. I immediately sent texts to Chance, but as I was typing, the truth dawned on me. 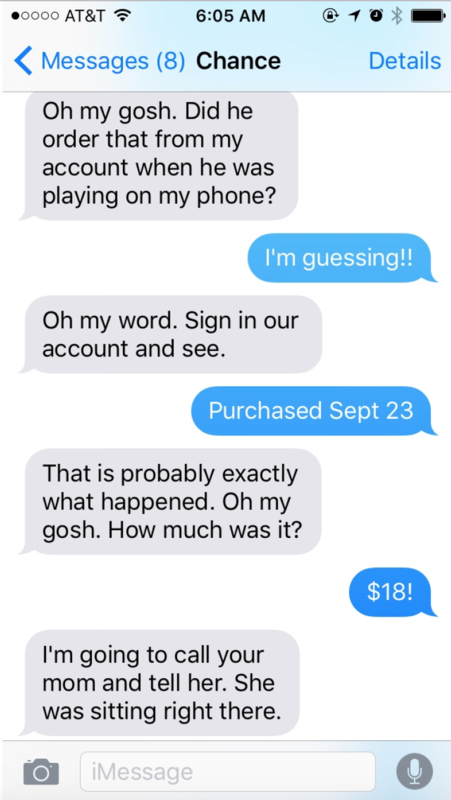 Our three year old made his first online purchase. 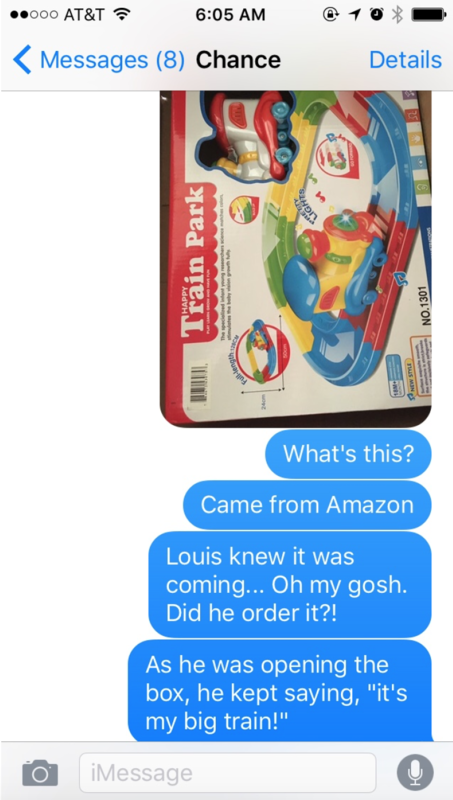 Two days ago (because, you know, Amazon Prime) Louis asked to look at trains on Chance's phone. Chance was already in the Amazon app, so he just showed Louis all the trains that could be purchased. Louis found one he liked, and apparently clicked "buy." 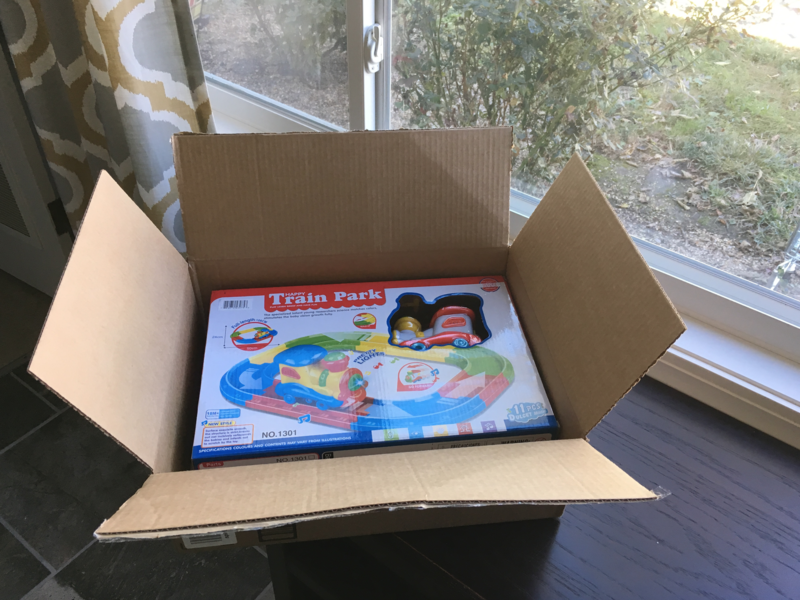 We're not quite sure how he knew the train would then arrive in an Amazon box on our back step (maybe he recognized the logo? Maybe there's a picture of a box at checkout?) but he totally knew what he was doing. Chance looked into returning the train, but it was going to cost almost as much to ship as it did to buy. 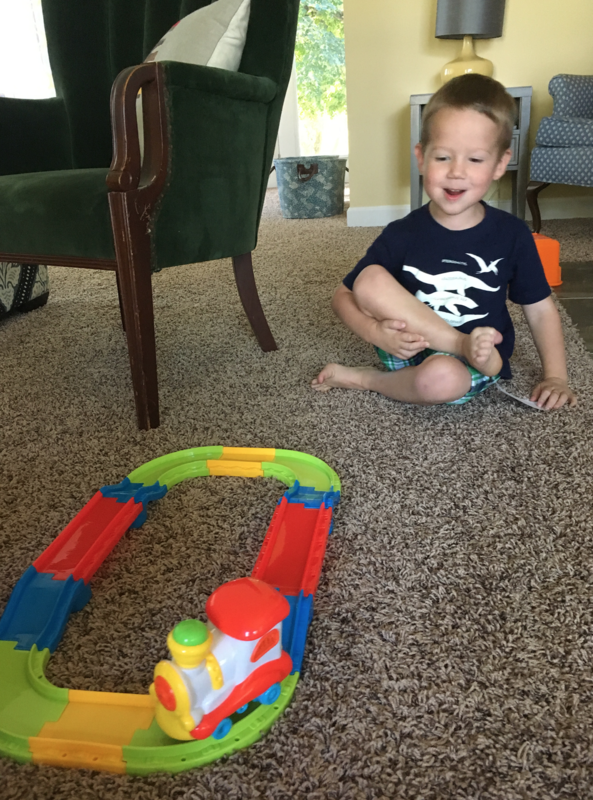 We decided Louis honestly earned his purchase, so he is now the (very) proud owner of a "big train." Married a country boy. Adopted/birthed some kids. Learned to love scripture. Inherited a farmhouse. 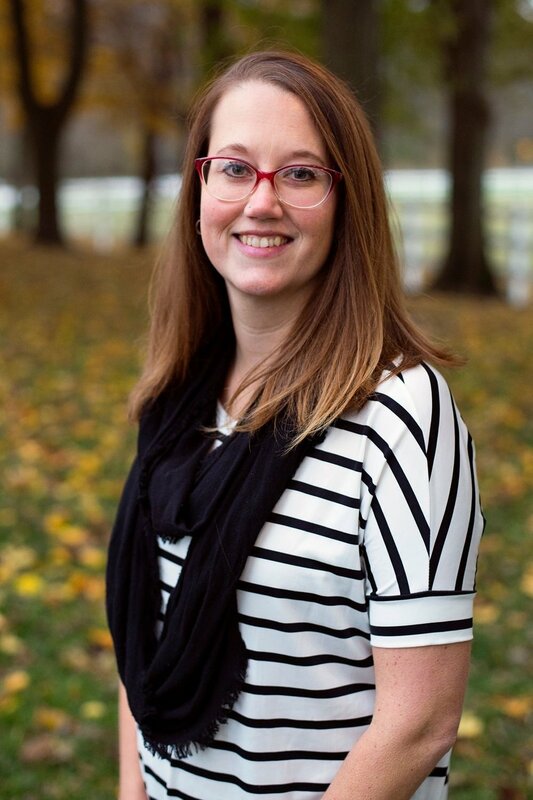 Became a missionary. Served vegetables no one ate. 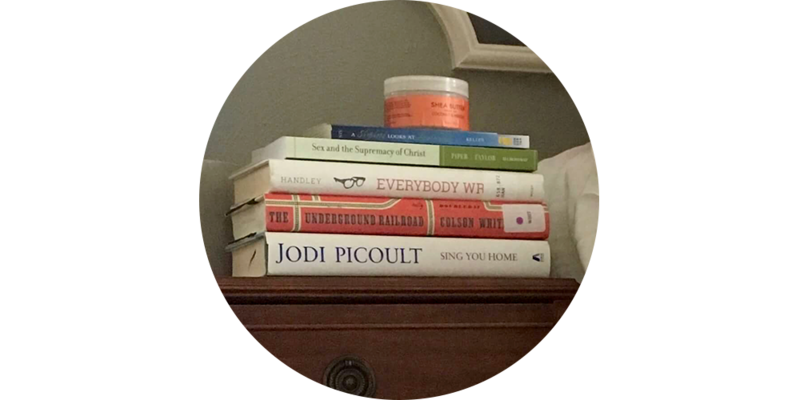 I write about it all on my blog.